KATHMANDU, July 22: A farm that is a major supplier of cut flower to the capital city has been badly damaged by the recent floodwater in Punyamaa rivulet, in Shrikhandapur of Banepa Municipality. The floods of last week submerged flower saplings in Horizon Nursery for few days, resulting in decay of its roots. 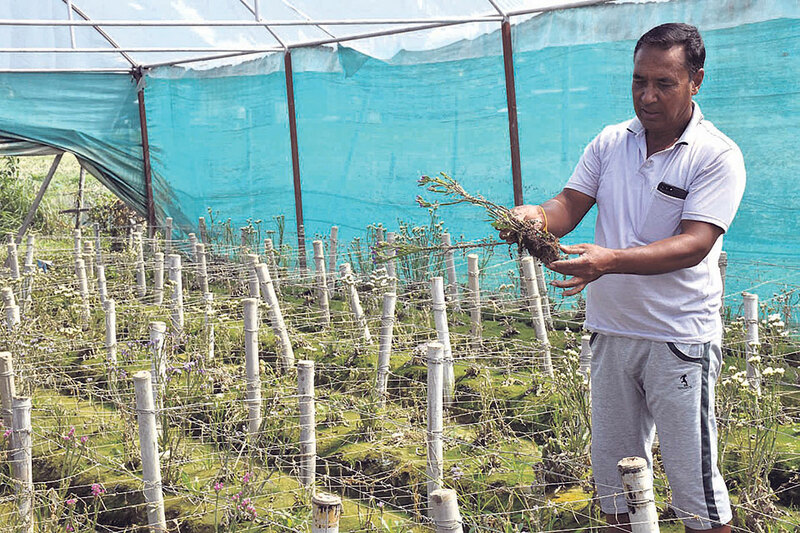 Owner of the nursery, Birendra Shrestha, who was recognized as the producer of best cut flower in the district last year, informed that the damages have been mostly in the saplings of rose, limonium, carnes and chrysanthemum. He said he would not be able to supply cut flowers to the Kathmandu Valley in the coming few months. Most of the damaged saplings had already started bearing flowers that would be soon ready to be supplied to Kathmandu. The valley has a high demand for flowers produced in this nursery. Dhulikhel Municipality had conferred Shrestha with 'excellent flower farmer of the district' award last year. After the floods receded, Shrestha had expected to restore the damages in his farmland spread in 22 plastic houses in a sprawling land of 20 ropani (a ropani equals 5476 square feet), but his efforts went in vain. He even used medicines on the flowers but they gradually turned dry and almost all of them are dead now. The damages in the nursery and flowers are worth Rs 1 million but Shrestha claimed that the losses he will have to bear due to floods will be in the tune of another Rs 8 million because he would not be supplying flowers in the coming months as he had planned. Following the floods, executives of Floriculture Association Nepal and floriculture technicians had visited the nursery. The technicians confirmed that the flowers could not be revived because of the damages in the roots. Limonium saplings are expensive and cost Rs 110 per plant. There were 2,000 such flowers blooming in the nursery, according to Shrestha. Likewise, he had purchased saplings of carnes flower at a rate of Rs 30, and a total of 40,000 carnes flowers had already started to bloom. Similarly, 2000 each of chrysanthemum and rose flowers were also damaged. “I can neither revive those plants, nor can I immediately place a new order for cranes and limonium flower saplings,” Shrestha resented. 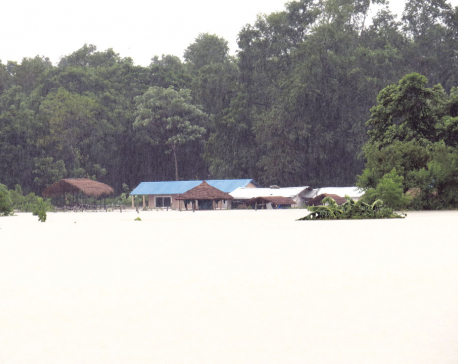 Shrestha, who started commercial floriculture 12 years ago, had never anticipated risk of floods. He has witnessed other problems such as winds blowing away the plastic houses and flower diseases. He had been demanding with the government that insurance schemes should be introduced for flowers like other crops and livestock. “I want to insure immediately so that I won't have to bear the same loss again,” Shrestha said. The government has heavily subsidized insurance premium for other crops and livestock, allowing the farmers to pay only 25 percent of the premium. However, this was not the first damage he has faced. The 2015 earthquake had given a big blow to his business as his flowers were not sold in the aftermath of the earthquake. He remembers throwing his flowers into a nearby rivulet then.